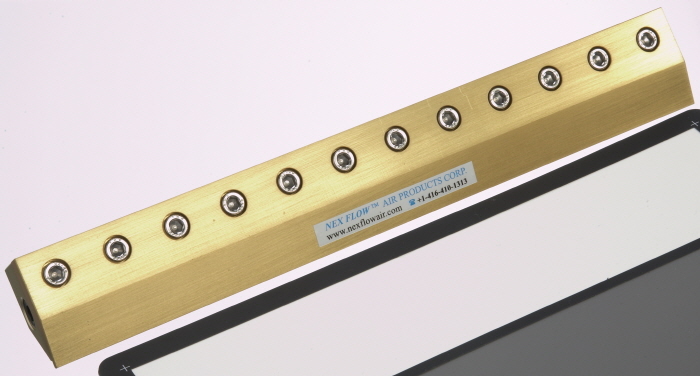 Air Knife Systems utilize compressed air for industrial applications. The curtain like airflow of the Air Knife is the most efficient way to dry, clean, removes excess oils and liquids, dust, and cool. 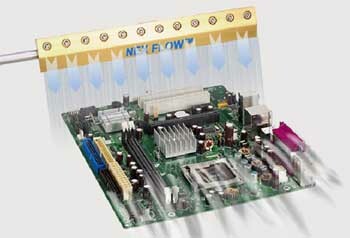 Air Knife X-Stream is easy to mountand maintain, reducing bothcompressed air consumptionand noise levels. It is the most efficient design yet achieved inAir Knife blow off technology in reducing noise levels and airconsumption yet providing theoptimum in blow off energy. 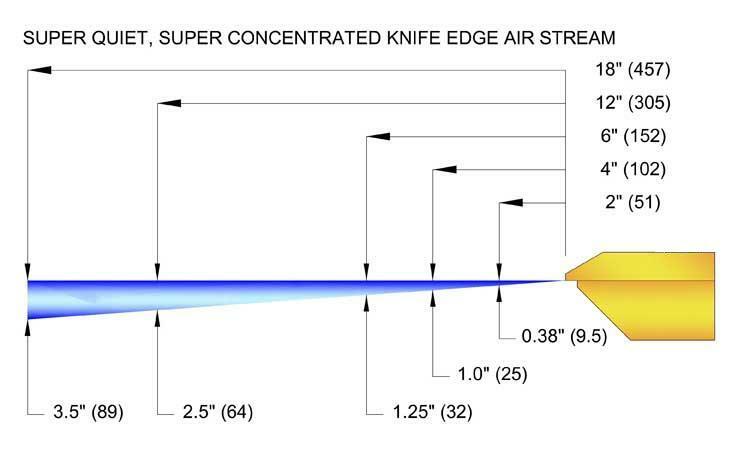 Air Knife X-Stream produces a“laminar” flow of air along its lengthusing the ”Coanda”effect which “entrains” a large volume of air from thesurrounding areaalong with a small amount of compressedair fromAir Knife X-Stream to produce anoutput flow up to 40 times. Note : Plastic shims can wear out quickly in Air Knives if theair is not clean.